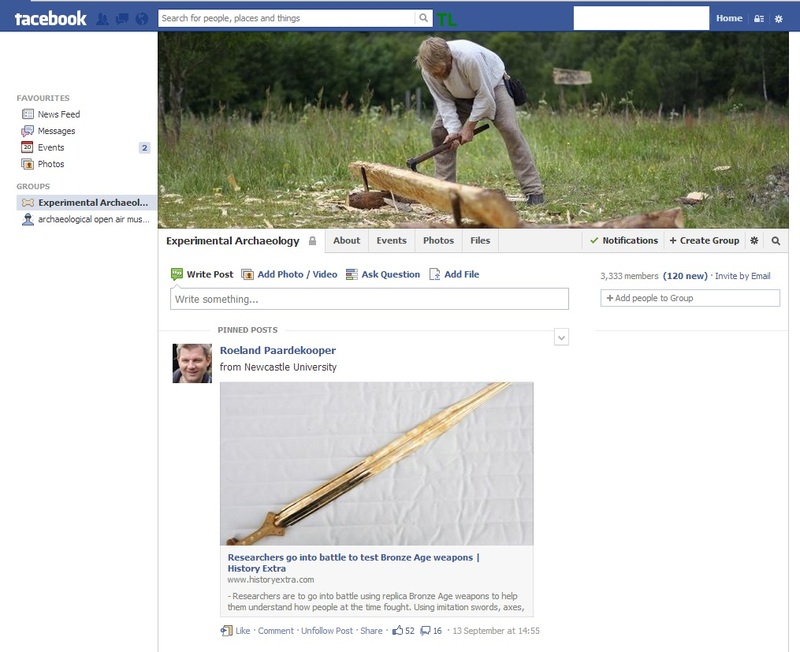 EXARC is very active on Facebook, both for our members as well as for others professionally interested. We for example manage or co-manage two active groups, one on experimental archaeology, the other one archaeological open-air museums (AOAM). Recently, both groups reached a new milestone. Our museum group recently reached 1,000 members, 350 of those joined in 2013. Our experimental archaeology (EA) group reached 3,333 members today, half of those members joined in 2013. EXARC is very happy with so many people interested in these subjects – it is a great source of information as well as a good way of reaching many people with EXARC related news. Of course EXARC is also active on LinkedIn and twitter.